For your bike rentals, you can go to Cycland located on the harbor and present in all the villages of the island. 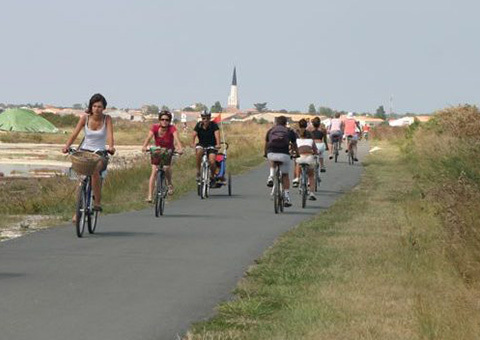 We strongly advise you to rent your bicycles before your arrival on the island. Rent via their website: 10% discount. 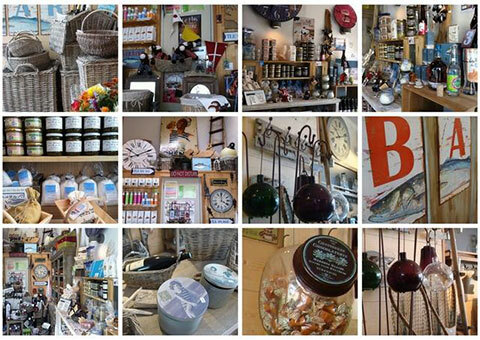 Do not leave the island of Re without going through Cyril where you will find all the products made a Ile de Re. Ars-en-Ré is a commune on the island of Ré in the Charente-Maritime department in the Poitou-Charentes region of France. Originally, Ile de Ré consisted of 3 islands: Ars-Saint-Clément, Lois and Ré. Time and nature have united these islets to form our beautiful island of Ré. Ars became Ars-en-Ré. Situated at the foot of Fier d’Ars bay, the commune of Ars-en-Ré connects to La Couarde-sur-Mer via the isthmus of Martray, the narrowest crossing on the island. In the centre of the village, the colourful back streets and alleys between the harbour and the Church square are home to many-an-artist. The spire of the Church of Saint-Etienne, pained in black & white, is a nautical daymark which can be seen from afar, both from other parts of the island and from the sea ! With its family-friendly atmosphere, the village market is one of the most lively on the island, with a pleasantly relaxed ambience. Ars-en-Ré is certainly worthy of its accolade as one of the most beautiful villages in France (plus beaux villages de France). The port, with its new basin afloat, at the entrance of the access channel. The church of Saint-Étienne. Its bell tower, painted black and white, serves as a bitter to sailors. The old salt refinery, part of which is inscribed on historical monuments 10. The Martray, the narrowest place on the island of Ré (a few tens of meters). Remains of old windmills, converted into dwellings. The proud of Ars and the salt marshes. The surf spot of the pointe de Grignon.